I like to think I am up on food trends, but every time I go to New York I am reminded staying current is as much luck as anything else. I think it's easiest to follow recommendations from friends you trust and let them take you any place they love. During my last trip to New York I went to a three-day-old spot in Chinatown. Thanks to Courtney, one of my local/transplant friends, I felt VERY hip. 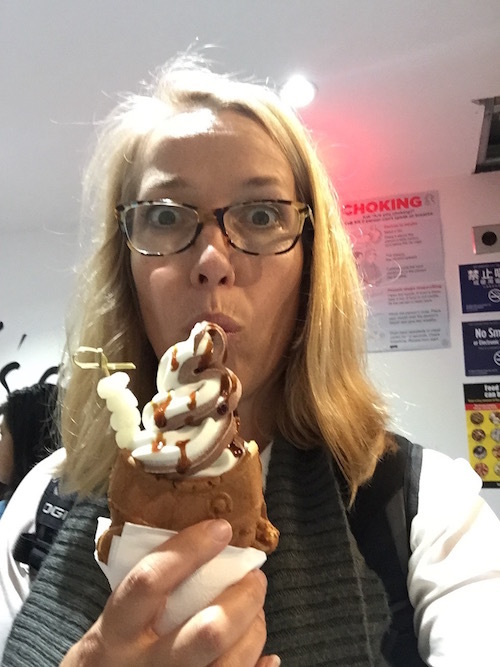 She had read about a new, VERY popular dessert shop with "fish and ice cream" called Taiyaki. Um. What? 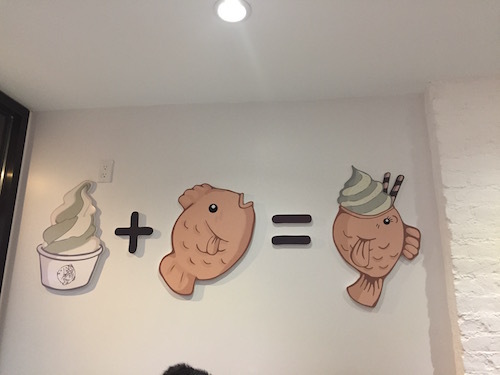 Ice cream and fish? Yup. 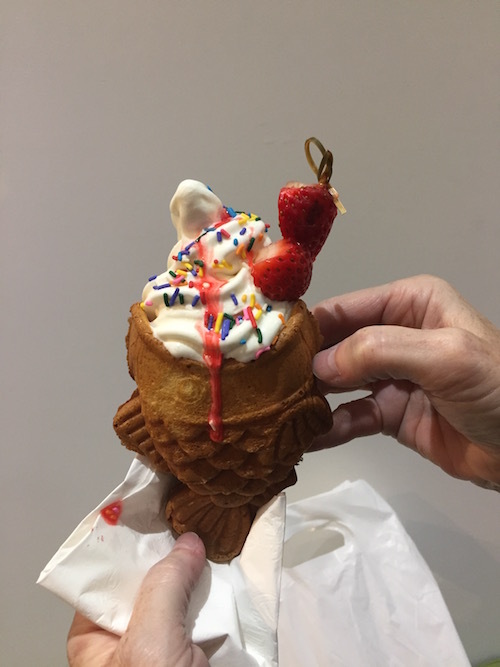 Imagine Japanese-inspired ice cream - think black sesame, bean curd, green tea - served in a fish shaped waffle-ish cone and then topped with a delicate topping of your choice PLUS a surprise custard in most orders. If you don't know what to order or what flavors go well together, Taiyaki has helpful menu suggestions to discover the perfect combo. Of course, if you're not feeling adventurous, you can always go with a fruit option. Like many popular spots, don't expect much seating or places to hang out, but while we were staying around the store, the owner, Jimmy Chen, walked over to say hello. Chen is a recent NYU grad who fell in love with this dessert while he was traveling in Japan and decided to bring it back to Manhattan (he says it's the first place of its kind). Props to Jimmy!! 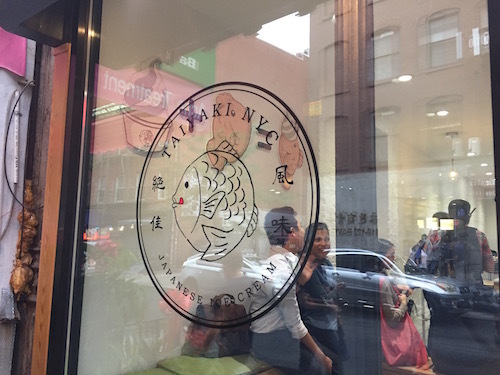 We loved our experience and are thrilled there's a "new fish in town." If you live in New York or travel there, be sure to check it out!DELISH!! !